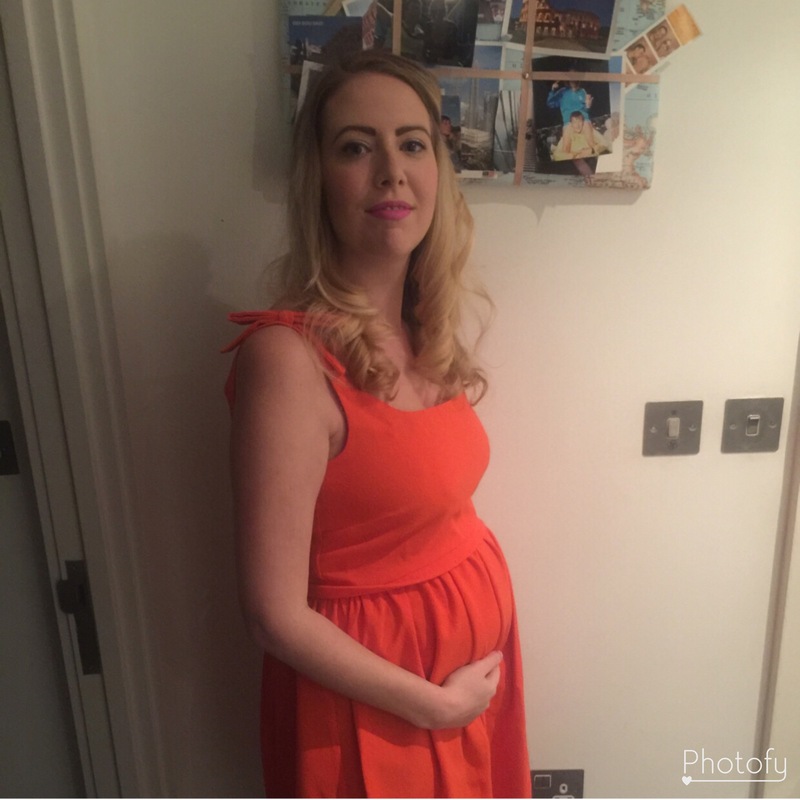 Mummy to Dex - 26 Weeks Pregnant vs 26 Weeks Old. My darling Dex turned 26 weeks old on Friday. I cannot honestly understand how I have a six month old baby. Life has changed so much over the past year, all for the better of course. I wanted to do a quick snapshot of 26 weeks in versus 26 weeks out. In this picture, I was 26 weeks pregnant. It was taken February 14th and we were just about to head out for a meal to celebrate Valentine’s Day. I got this gorgeous orange dress from ASOS and had been waiting for the perfect opportunity to wear it. Unfortunately, it was a little tight, even though it was a size 10. I decided to wear an underwired bra as well (maternity bras do NOT go with nice dresses). At this point, I’d been off sick from work for just over a month due to my Pelvic Girdle Pain. It was a struggle to walk long distances and in a lot of pain day and night. I was also feeling pretty down. I felt horrendously guilty about being off from work and very lonely at home by myself all week. This was probably one of the first times I’d actually managed to get myself made up and do my hair in that month. We went to Fazenda which is a gorgeous rodizio restaurant not far from our flat. We ate so much amazing meat, potatoes, rice, salad. I felt huge by the end. In fact, I had to pop down to the ladies and remove that pesky underwired bra at one point! It was the first time I truly felt pregnant. The staff looked after me so well. They had to move the table so I could fit me and bump and they made sure my meat wasn’t too pink. Now here we are nine months later and Dex is 26 weeks old. Thankfully, my Pelvic Girdle Pain is long gone and I have my beautiful boy here with me. 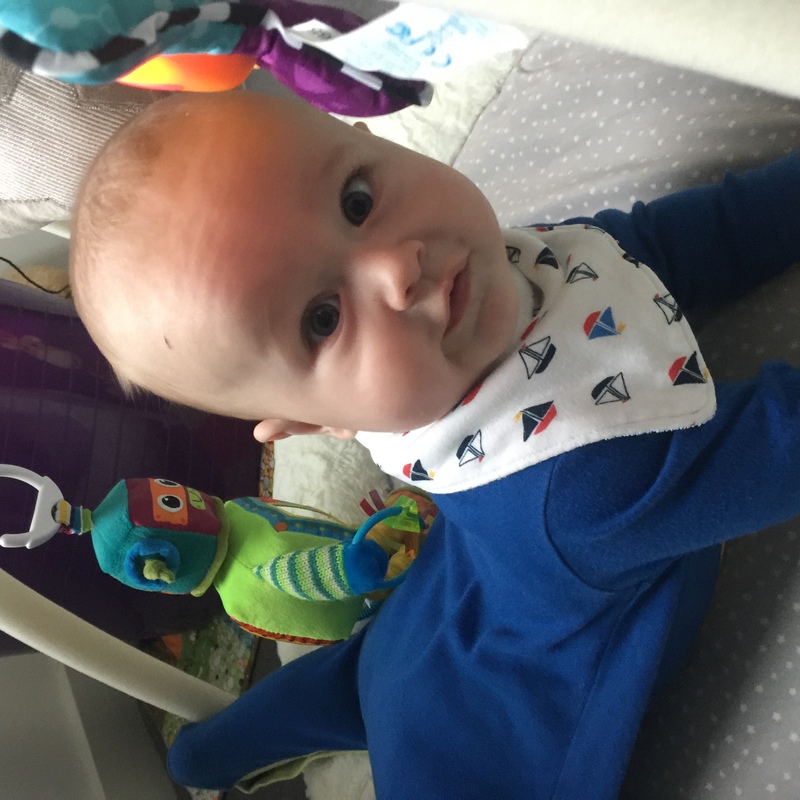 He has recently started solids and is now able to sit on the floor without support. He has his own little personality and makes me and his Daddy very happy every single day.